Set up outlook on a machine and downloaded all the Godaddy emails. 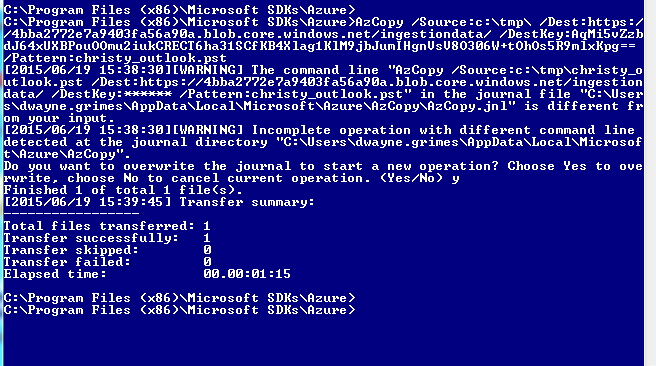 Downloaded Azure and used their command lines to upload the file. I used the video down below to set up the users original “@whatever.com” email address. I had to add some txt records, cname, and mx records. Back in the admin section of 365 I went to “Import” in the left side menu. I created a new “upload over network”. This is where the Azure step comes back in. You’ll link back to the .pst in this step. You will also need your mapping file. 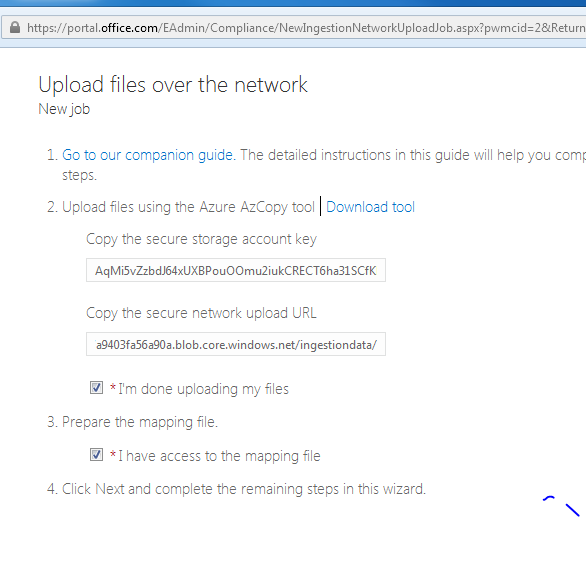 This link was a great way to use the existing email address and port it to the “.onmicrosoft.com” email address. We recently had to reload a couple of Windows 7 machines, and when running the Windows updates they weren’t installing. We fixed this by running the Windows Update Troubleshooter. I ran the troubleshooter 3 times before it fixed all the errors it found. Had this issue again. Here are some things to look for. Make sure Windows is activated. In the run window type in “msconfig”. You will need administrative permissions. Check “Hide all Microsoft services”. Hit “Disable all”. It will ask you to restart. Do not restart. You will need to restart these when your done. 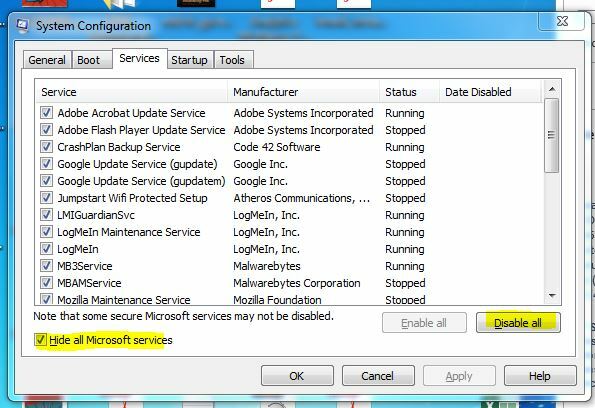 In “Services” make sure “Windows Update” and “Background Intelligence” is started. This link lead us to the fix that repaired the second machine. A couple of other techs I worked with discovered the first couple of Windows 7 updates need to be installed manually. After that the rest of the updates worked the way they should. They found the information here. One of our techs has used this solution. This one helped when it wasn’t a fresh install. Download the latest .ZIP package, and use the documentation to complete the task.